A 450-square-foot apartment in the Upper West Side needed to accommodate the resident’s working, entertaining, and resting needs, without eating up precious inches. 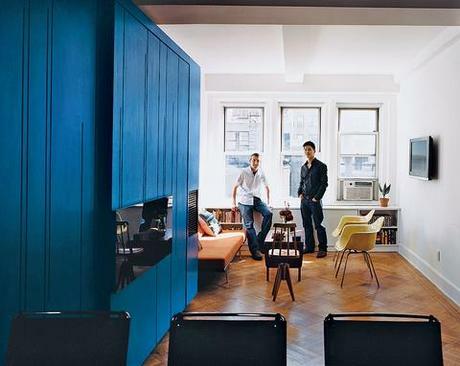 This groovy blue home office offers all three. Photos by Raimund Koch.